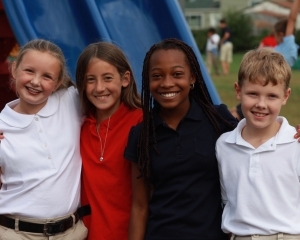 Our entire school day, from academics to co-curricular activities, is designed to nurture our students’ strengths while simultaneously addressing their remediation needs. Daily small-group Orton-Gillingham language classes and experientially based math classes provide a solid instructional foundation. This approach enables non-intuitive learners to acquire the academic subskills necessary for success, both with higher-level critical thinking and the problem-solving skills necessary for 21st-century curriculum. Lower and Middle Division classrooms are built upon a model of 16 students with 2 full-time lead teachers. 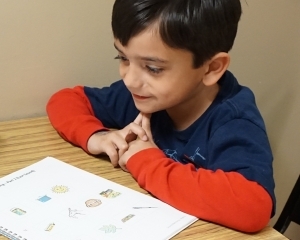 This model permits individualized and small-group attention. 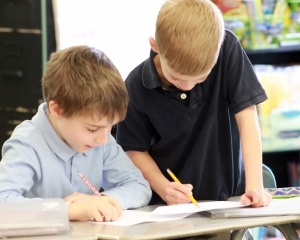 It also allows flexibility, so one teacher can work with one student if needed, while the other teacher continues with whole-group instruction.